Come listen and carol with the George F. Baker H.S. Choir & Band while we await the prompt arrival of Kris Kringle and Mrs. Claus at 5:30pm on Sterling Forest Fire Companies 1921 American la France Antique Fire Truck. He’ll make his first stop at the Town Tree to illuminate the finest greens of Tuxedo. 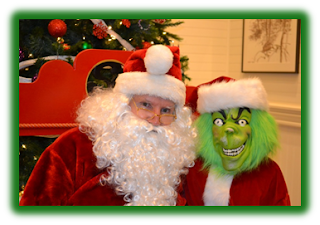 Festivities will follow in the Historical Tuxedo Train Station with Crafts and Photo opportunities with Santa. Don’t forget your camera! Make this night all about the kids and sign up for the George F. Baker National Honor Society movie night, showing “Frozen” immediately following a visit with Santa. Registration for the movie event is required and due by 11/30/15. GGM students in Grades K-4. Kindergarteners must be accompanied by an adult. There is a 50 student limit.